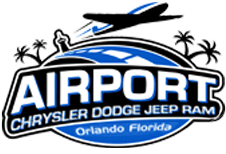 Airport Chrysler Dodge Jeep is eager to welcome you over to our Orlando, Florida location to introduce you to the Ram ProMaster City® van that will complement your personal and business needs. Our inventory boasts a fully-stocked inventory of competitively priced options, and we encourage you to use our secure website to explore our Ram options right now! When you're ready for a hands-on experience of all the 2019 Ram ProMaster City® offers, make your way over from Winter Park to our Orlando, Florida location. It's easy to start customizing your Ram ProMaster City® van today, what with the four impressive trim options and eight exterior paint color choices. Head over to our new and used Ram dealership today to talk to one of our friendly team members about your needs. We'll happily review the Tradesman® Cargo Van, the Tradesman® SLT Cargo Van, the Wagon and the Wagon SLT options we have in store, as well as the comprehensive warranties that come included with your new van purchase. Your 2019 Ram ProMaster City® boasts a slew of active safety and security features so that you can explore Orlando, Florida with confidence. The reinforced structure of your van provides you with an added layer of protection in the rare case of a collision, as do the seven strategically placed airbags. The Active Head Restraints work to minimize the risk of injury while the crush zones help absorb impact energy. Add to that a three-year/36,000-mile limited warranty, a five-year/100,000-mile rust-through limited warranty, and a comprehensive five-year/60,000-mile gas powertrain limited warranty, and you've got a van you can count on! Opt for the available Uconnect® 5.0 NAV system to get voice directions to your destinations while using the Bluetooth® Streaming Audio and integrated steering wheel controls to stay entertained with your favorite songs. The large windshield improves driver visibility so you can safely navigate the streets while the vast interior dimensions mean you can transport all necessary items with ease. The 2019 ProMaster City® is up-fit ready, so be sure to talk to us about your storage and shelving needs; we're here to help you build an affordable ride that makes your workday more convenient! Talk to our Airport Chrysler Dodge Jeep team members about the ProMaster City® trim you are interested in, and the power specifications you're looking for. We'll gladly review the 2.4-liter Tigershark® MultiAir® engine that comes standard as well as the impressive nine-speed automatic transmission that boasts Electronic Range Select. And with the new 2019 ProMaster, enjoy the Best-In-Class 1,883 pounds payload and 131.7 cubic feet of cargo capacity. Learn more about this Ram's brake durability and the payload capacity it offers, contact us today! 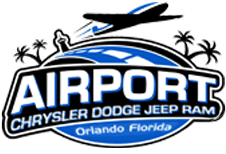 Make your way over from Kissimmee, Florida to Airport Chrysler Dodge Jeep in Orlando to learn more about our Ram ProMaster City® inventory now! We can review your financing options and get you set up for a test drive so that you can experience the maneuverability and ease of handling for yourself. Don't miss your chance to secure a stylish van that complements your transportation needs, reach out to our new and used Ram dealership today.